Emmie was born in Isparta, Turkey. After graduating with a degree in Education from Gazi University, Ankara, she moved to California in 1977. 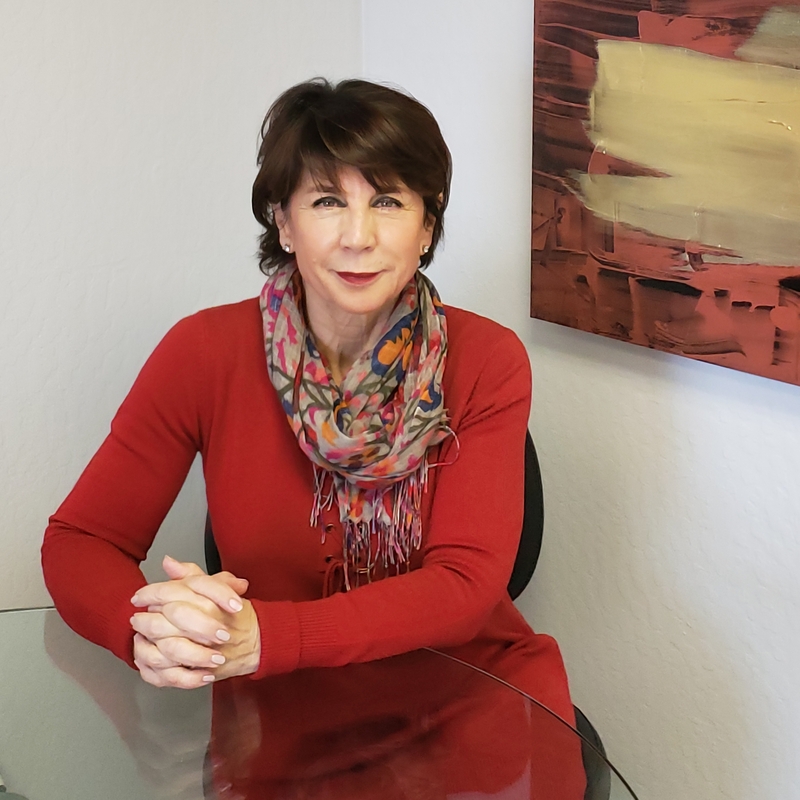 Emmie received her Bachelors Degree in International Relations from San Francisco State University in 1981 and a Masters Degree in Political Science from University of California, Berkeley in 1983. Emmie’s professional career has involved her in a number of business start-ups, including early childhood development programs, temporary employment for early childhood teaching professionals, vocational teacher training and, since 2000, Emmie has managed her own home health care agency. More recently, she has turned her attention to a life-long passion – wine! She is currently exploring several business ventures in the wine industry. At present she is practicing as an independent wine consignor for a well-known group of vineyards and specializes in arranging private wine-tasting and education events for small groups. Emmie can also be found assisting in the tasting rooms of local wineries. The origins of wine in the Golden State dates to the mid 18th century when Spanish missionaries arrived in California and established their missions. Each mission was planted with its own vineyard – wine being an important part of the religious sacraments. The vineyards were typically planted with Vitis Vinifera vines, a species of wine grapes native to the Mediterranean region. The popular consumption of wine did not take place until a century later, when the State’s population increased dramatically with the Gold Rush of the mid 1800’s. Thanks to the local demand for wine by these new settlers, especially the European immigrants, California’s fledgling wine industry took hold, paving the way for the establishment of the first commercial winery, Buena Vista in 1857. The Californian wine industry had its ups and downs during the next hundred years. First came the phylloxera epidemic. The parasite, much like the aphids which destroyed vineyards in Europe, made its way to California, causing havoc in the industry and forcing many vineyards out of business. The Californian wine industry, however, recovered more quickly from the epidemic than its European counterparts. The bliss was not to last long. As the wine industry rebounded from phylloxera, it was hit by the Act of Prohibition, causing many wineries to go out of business. By the time Prohibition was repealed, less than a quarter of the eight-hundred wineries in existence prior to the Act had survived. Despite these setbacks, the industry was able to make a rapid recovery. Not only were winemaking and wine consumption on the rebound by the middle of the twentieth century, but by the 1970’s, California’s wine industry positioned itself for a spectacular renaissance. A new group of wine makers, employing innovative methods and modern technology, produced a family wines that would elevate California winemaking on the world stage. The judgement of Paris in 1976 was a turning point. In a blind tasting of French wines from Bordeaux and Burgundy and a selection of California wines, the judges – mostly French – awarded the top honors to the California wines. When the results were announced, the results were furiously contested in an atmosphere of shock and disbelief. The long-held opinion of the invincibility of Old World French wine was shattered once and for all. Today, California produces more than fourteen percent of the world’s wine; as a country, it would rank as the fourth largest producer globally with over 400,000 acres dedicated to vines, 107 AVA’s (American Viticultural Areas, and some 1,200 wineries across the State. Of the four main wine regions of the State (North Coast, South Coast, Central Coast and Central Valley) the North Coast is the most well-known; Napa and Sonoma are especially renowned for the quality of their wines. However, together, they grow less than ten percent of California’s wine grapes. The Central Coast, on the other hand, which stretches roughly 250 miles along the California coastline from San Francisco County in the north to Santa Barbara County in the south, and averaging about 25 miles in width, produces almost seventy percent of the state’s total wine grapes and is home to some 360 wineries. The Northern section of the Central Coast AVA, which includes the Santa Clara and Santa Cruz counties, is home to some of the oldest wineries with their roots going back to early European settlers. Great wines of the area, combined with the culinary tradition, cultural heritage and the technological innovations of the Silicon Valley make the Central Coast wineries an especially unique experience for tourists. The dichotomy of the new and the old – where the home of the i-Phone meets the traditional craft of the vintner makes the Central Coast a must for any wine enthusiast.